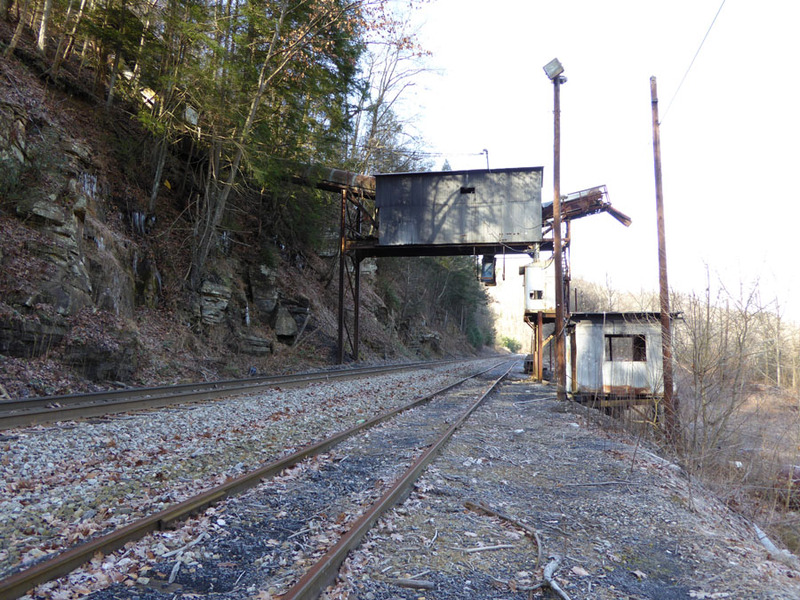 However, this really sturdy deck girder is a relic of the once-mighty coal-driven railways that the L&N pushed though out of Harlan KY. They built strong. 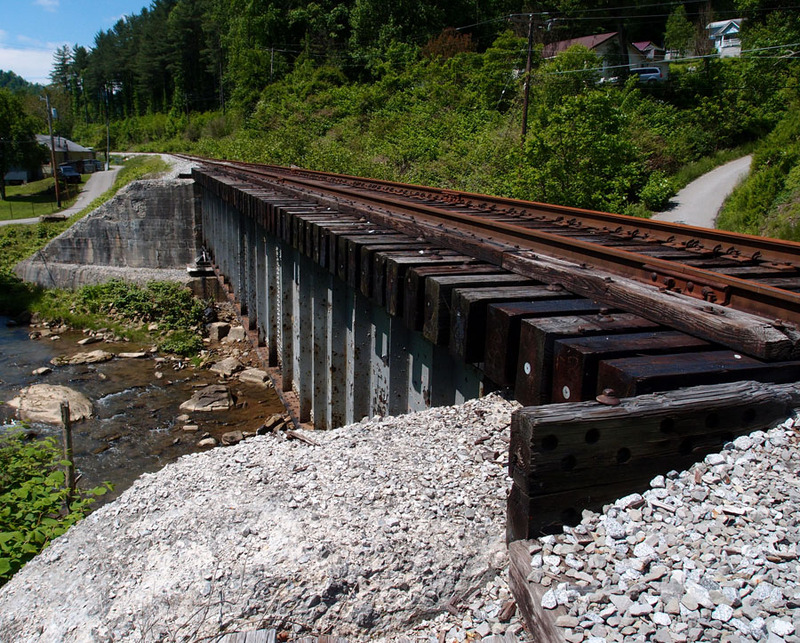 The rails on this trestle have “Tennessee 1938” notations on them. It’s a dead line, but I bet it supported one hell of a lot of tonnage in its day. The trestle crosses Catron Creek at about 36.79852, -83.33855. Found this in an antique store last year and forgot about it. 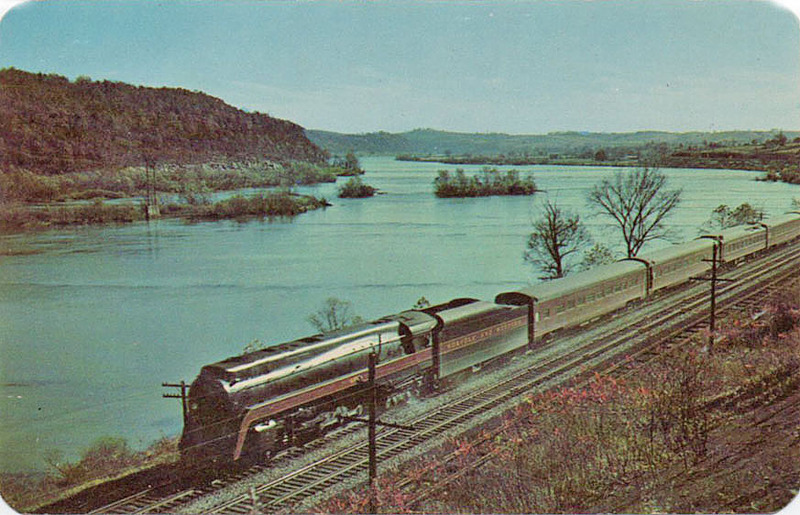 As far as I can tell, this is from the early 50s, an N&W J-type out of Roanoke Shops. Pub. by Roanoke Photo Finishing Co., Roanoke, Va.
Dextone Made Direct from Kodachrome and Ansco Color by Dexter Press, Pearl River, N. J. This old loader is near the Wakenva VA junction (it’s just ahead in this picture). It was hard to figure this one out. There had been a pulley system of some sort with stout wire cable, but I couldn’t tell what it was for. It had both rail and truck access. 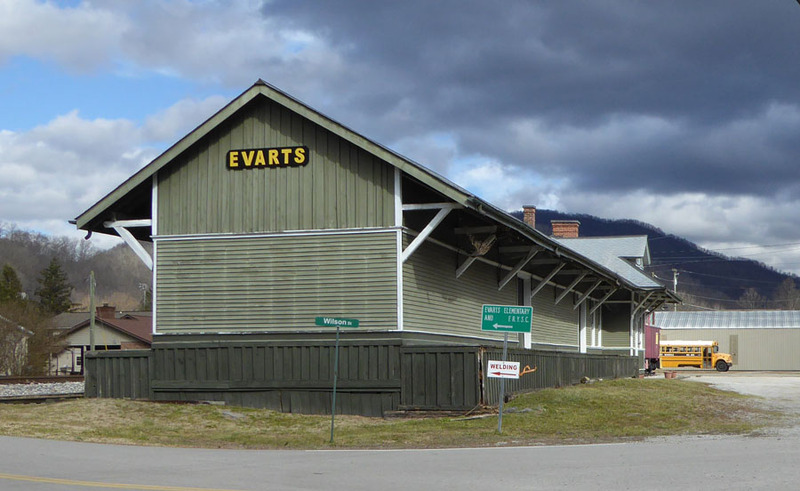 Two views of the refurbished train station at Evarts KY, near Harlan. It cleaned up quite nicely. The first Post Office opened in this town in 1855. 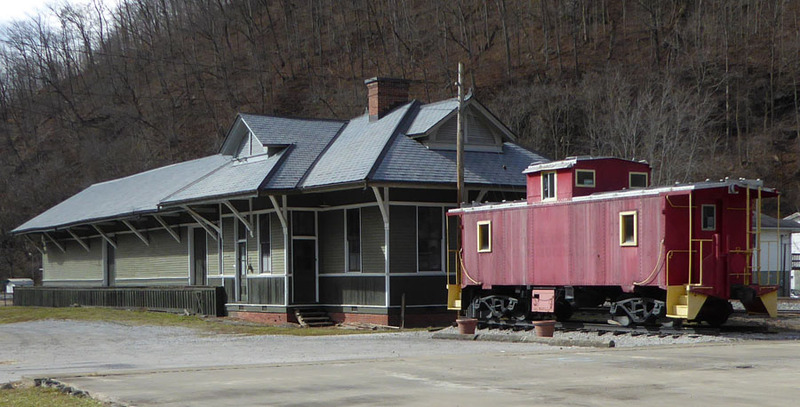 Since the L&N came into Harlan in 1911, I assume that the railroad came through here soon after, as it made its way east into the coal country. 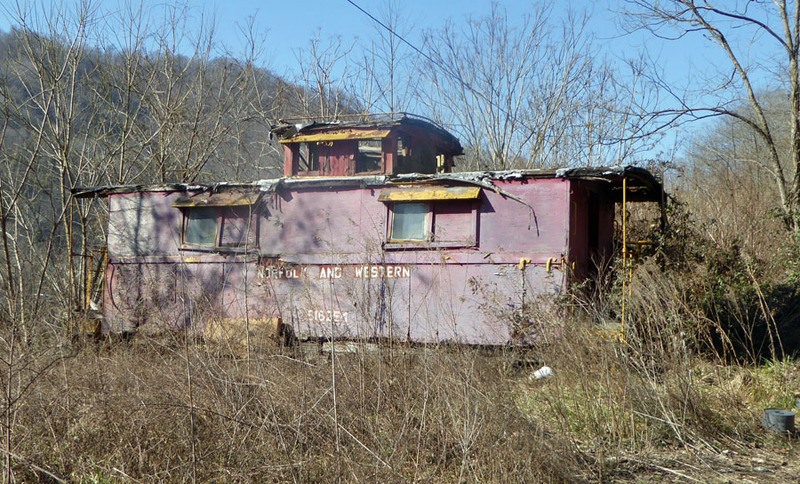 This old caboose, maybe from the 40s, is located off Highway 38, east of Ages KY. It appears to have been lived in at some time. It’s pretty derelict now.